It's been a funny week this week, I've had a week off which has been a great opportunity to get stuff done. We've got virtually nothing left to get for the house now, which is a plus but it does mean no more accidental stationery hauls either. I'm loving this week in my planner. The geometric tape is from Hobbycraft, the stickers were part of a kit from Sainsburys (apart from the Kikki K one of course) and I used my Kikki K fine liners. 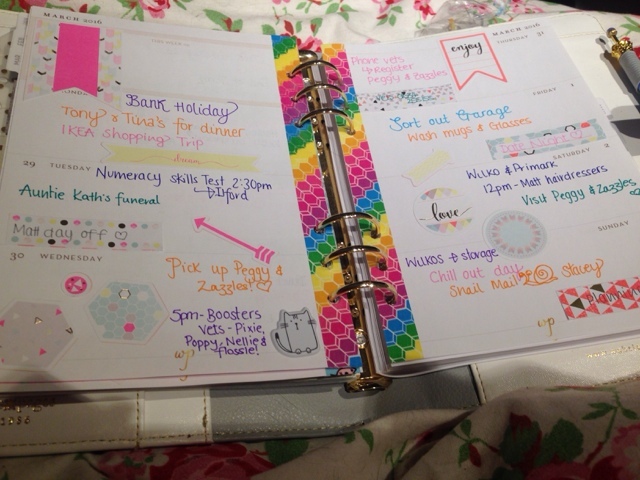 This week makes me feel really cheerful, I love the bright colours! It's been much needed after some slight delays with the house. Fingers crossed, this week yields more results. Wherever you are and whatever you're doing, have a great week!